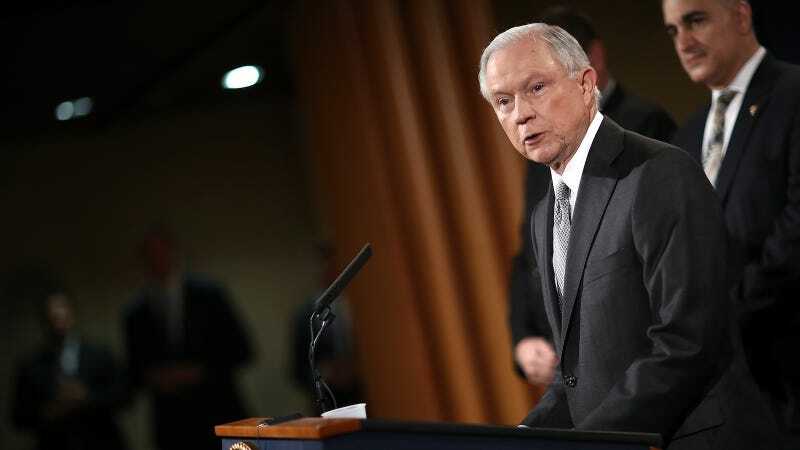 After having canceled two testimony appearances, Attorney General Jeff Sessions has agreed to testify before the Senate intelligence committee on Tuesday regarding his meetings with Russian ambassador Sergey Kislyak and his role in the firing of former FBI Director James Comey. This is Sessions’s first Congressional testimony since his confirmation hearing, in which Sessions lied to Congress under oath about meeting with Russian officials. According to Comey’s closed testimony last week, Sessions may have had a third undisclosed meeting with Russian ambassador Sergey Kislyak. Sessions recused himself from the Justice Department’s investigation into Russia’s interference with the US election, but continues to head one of the nation’s top law enforcement and administration agencies. Sessions will testify before Congress at 2:30 pm ET on Tuesday.